Humidity also affects your home’s HVAC system. If you don’t regulate the humidity level, appliances at home could sustain damage. For example, if your air conditioning system is required to work extra hard to sustain a sufficiently cool temperature indoors, this increases wear and tear and could result in damage that requires air conditioning repair services. So, how do you prevent this type of damage? The answer is simple: purchase a humidifier and dehumidifier. Superior Air discusses each. No one wants to pay for constant repairs to their HVAC unit, which is why it’s a good idea to pair your AC with a dehumidifier. 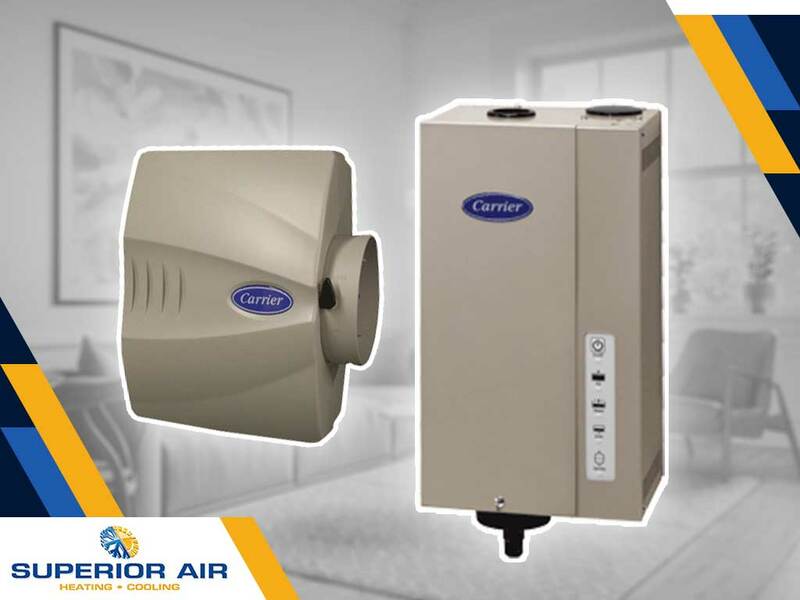 This appliance effectively pulls moisture out of the air before it enters the air ducts, which helps your air conditioning system quickly cool your home without much effort. This, in turn, reduces energy consumption and thus your monthly energy costs. A humidifier is an effective tool for winter. Similar to dehumidifiers, these can also be put in during in-home air conditioning installation. Unlike dehumidifiers, however, humidifiers help make your indoor space feel warmer by trapping moisture and forcing it to enter the air ducts. It’s basically the opposite of air dehumidifiers. So, if you’re torn whether to get a dehumidifier or a humidifier for your home, why not just get both? While they do function differently, they both provide superior benefits to your home at certain times of the year. Still confused? Why not give a heating and cooling service contractor like Superior Air a call? We can give you professional advice on installing different HVAC systems, in addition to air conditioning maintenance and repair. Reach out to Superior Air’s superior HVAC technicians to help you with your heating and cooling needs. Just dial (559) 342-0023 to request service in Visalia, CA, and nearby areas.